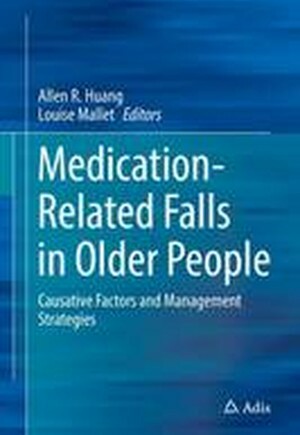 Comprising a single repository of knowledge and scientific evidence in the field, this book provides strategies to mitigate fall risk by providing information on the complex interactions between aging processes, co-morbid conditions and prescribed medications in older patients. Geriatric health is becoming a more prominent issue as the population ages, and balancing the beneficial effects of medication against the potential and real side-effects in these patients involves a deliberate and thoughtful task: physiologic aging, the accumulation of co-morbidities, and the use of drugs to manage various conditions and symptoms generates a unique set of problems for each patient. Falls are a dreaded event in older people. The event can affect a person in a physical, and psychological manner, resulting in soft tissue and bony injury, fear of falling, and depression. The identification of and reduction in fall risks in older people is a worldwide concern, and reducing the incidence of falls is a ubiquitous quality measure of health care delivery. Heterogeneity amongst older people precludes a single solution. However, physicians and others involved in the care of geriatric patients will benefit from the presented insights into how medication use can be modified to limit its impact as a contributing factor. Part 1.- 1. Introduction.- 2. The Aging Population and Falls: Consequences and Costs.- 3. Falls Count and Counting Falls: Making Sense of Data About Falls.- Part 2. Drugs and Falls: Why are Older People at Risk?.- 4. Polypharmacy.- 5. Pharmacology of Drugs in Aging.- 6. Age-Related Physical and Physiologic Changes and Co-Morbidities in Older People: Association with Falls.- 7. Adverse Events & Falls.- 8. Risk Factors for Falls in the Elderly.- Part 3. Medications Associated with Falls in the Elderly.- 9. Psychotropic Drugs.- 10. Benzodiazepines.- 11. Drugs for Degenerative Neurologic Conditions: Antiparkinson Medications, Cholinesterase Inhibitors and Memantine.- 12. Antihypertensive and Cardiovascular Medications.- 13. Glucose Control Medications.- Part 4. Management of Medication-Related Falls.- 14. Inappropriate Medications and Risk of Falls in Older Adults.- 15. Identifying Explicit Criteria for the Prevention of Falls.- 16. Approach to Medication Reviews in Older Adults.- 17. Withdrawal of Falls-Risk Increasing Drugs.- 18. Benzodiazepines Withdrawal in the Elderly: A Practical Approach.- 19. Role of Information and Communication Technologies.- 20. A Novel Personalized Falls Risk Calculator Tool: A Prototype for Improving the Safety of Prescribing Through Computerized Decision Support.- 21. Future Directions.